Barbers are always needed because hair will always grow, this is one business that has no season, barbing salon business has been around for years and smart Nigeria who have gone into this line of business are making their money with ease. If you have been considering this line of business I encourage you to take action and start but if you have been seeing this business as a low profit venture you need to have a rethink because you are wrong. A barbing salon is a place you cut, shave, style and groom your hair. One good thing about this business is that as a barber your service will always be needed because hair is constantly growing and you would be needed. You must not run the business by yourself, you can set up the place, employ good barbers that you pay on commission, its very simple and I know lots of Nigerians who have been doing this business for some time now and they are millionaires. An average guy probably visits the barbing salon every week to cut and shave his hair, the cost of cutting and shaving depends on the quality of service that is offered in this barbing salon. To start and be successful in the business you need to have a foresight, barbing salon business plan in Nigeria to get all the information you need about the business and that’s why we are here. Our feasibility study on Barbing salon will help you plan and start a successful barbing salon business. Knowledge & Skill – To be successful in this line of business you need to have a complete knowledge of the business, you may not be the one cutting the hair but you should know what the requirements are. To give a satisfactory service you need to be good, so learning and having a enough knowledge about is key, so before you begin, its important that you take some time off to learn different styles, hair treatment, beauty tips. Get the necessary license – This is very important, all your document should be up to date, follow the due process. Location – This is the most important aspect of the business, location is almost everything. To begin, choose a busy and popular location that is very easy to access. Places like beside the road, busy plaza, etc. Packaging – This is the interior decor of the salon, this also depends of your capacity but most importantly the environment should be very comfortable. When a costumer walks into your barbing salon he should be confident that he can get his desired service. 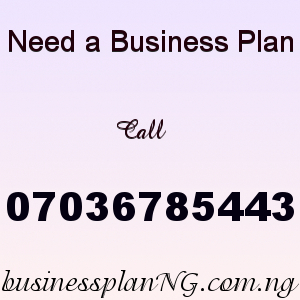 Our sample Barbing Salon Business Plan in Nigeria can be used to access bank loans, proposal writing and grant applications. The business plan was complied after a thorough feasibility study on Barbing Salon Business in Nigeria was done.